The upcoming mystery drama “A Day” is about people who wake up to find themselves locked in what seems to be an eternal time loop. 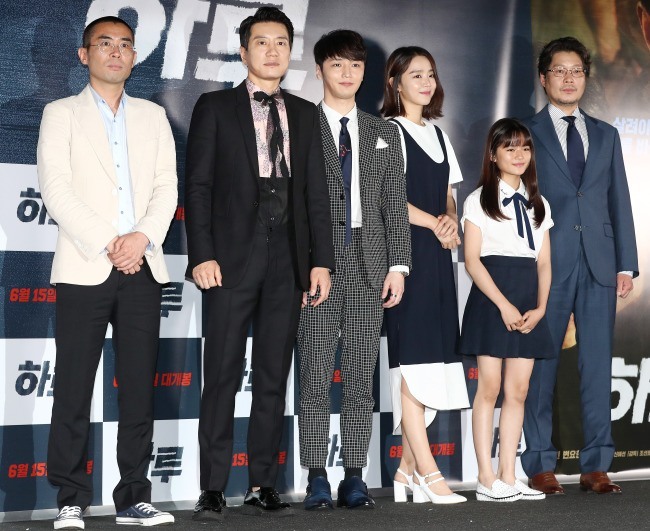 “It’s a painful day that you hope will end but never ends,” said director Jo Sun-ho (“Killer Toon,” 2013) at the film’s press screening in Seoul Wednesday. The film has been invited to screen at the Sitges International Fantastic Film Festival, set to take place in Catalonia, Spain on Oct. 7-16. Kim Myung-min, who recently starred in the television period drama “Six Flying Dragons,” plays a world-famous doctor who volunteers to work in Third World countries, Joon-young. His busy schedule forces him to neglect his 12-year-old daughter Eun-jung, played by Jo Eun-hyung. Joon-young witnesses his daughter being fatally hit in a car accident on her way to meet him on her birthday, and he frantically wakes up to discover that the events were a dream. 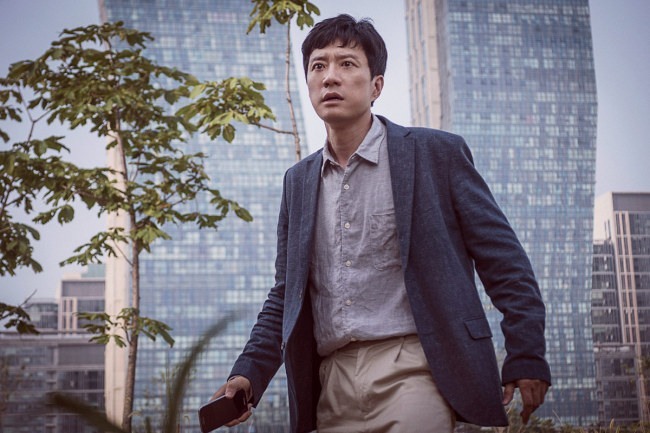 The dream repeats itself everyday as Joon-young struggles to save his daughter, whose continuous death reveals a dark sin in the esteemed doctor’s past, in different ways each time. Kim said it was particularly difficult to do the same scenes in slightly different ways. “I thought a lot about how to express the subtly different emotions for each repeated day,” he said. Byun Yo-han, who also starred in “Six Flying Dragons,” plays ambulance driver Min-chul who discovers he is stuck in the same time loop as Joon-young. He too suffers the death of a loved one for days on end, and the two characters desperately attempt to devise a plan to change the sequence of events, only to fail each time. Various layers lurk beneath the repetitive setup, according to Byun. The film has a running time of 90 minutes and is distributed by CGV Arthouse. It hits local theaters on June 15.